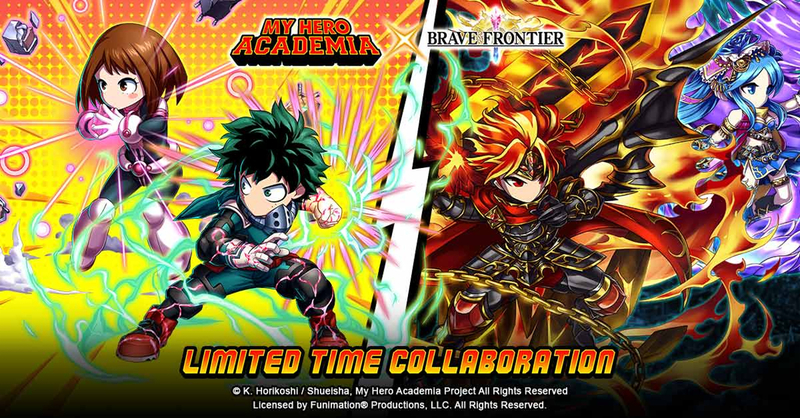 My Hero Academia X Brave Frontier is the collab we never thought we needed! Can’t get enough of My Hero Academia? Better download Brave Frontier on mobile then! 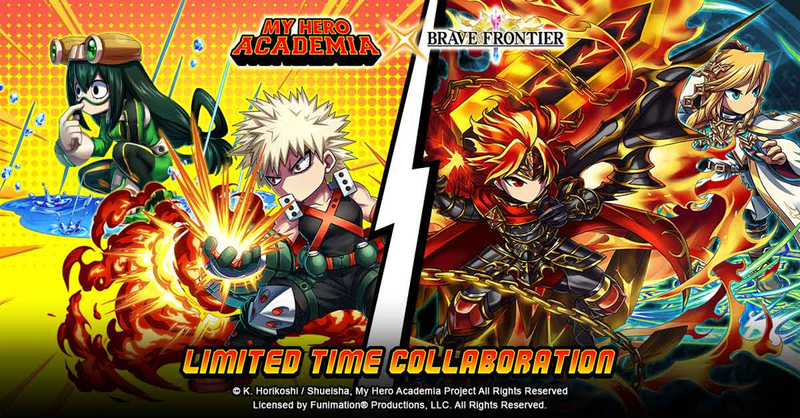 Players will be able to summon their favorite heroes-in-training in the Brave Frontier X My Hero Academia crossover event that’s happening today, July 26 until August 22, 2018. 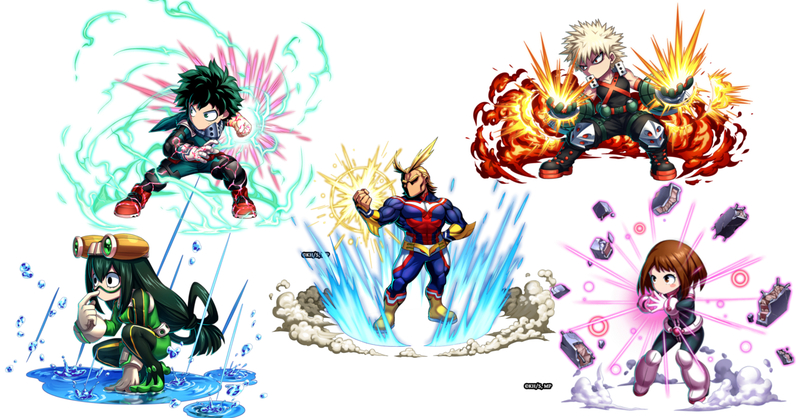 The four My Hero Academia characters available for summon include Izuku Midoriya, Ochaco Uraraka, Katsuki Bakugo, and Tsuyu Asui. MHA’s #1 Hero All Might can also be acquired by players through finishing one of the two challenge dungeons in the collab event. The event’s two challenge dungeons are Time for Training! and Escape Through the Gate! Time for Training will be playable from July 26 – August 8, and will feature Deku and Ochaco fighting of an unknown entity that appeared from a sudden black fog. Escape Through the Gate meanwhile will be playable on August 6 -19, and will feature Tsuyu and Katsuko preparing for an exam through a warm-up spar. Completing this dungeon will give players access to All-Might himself.